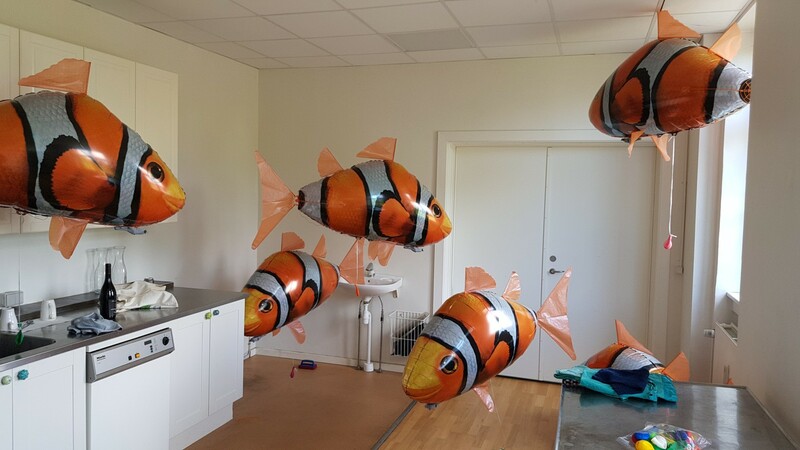 In 2016 SCENATET initiated a collaboration with the American composer and performer, Jessie Marino, which resulted in the performance of her piece ‘The Whale is a Capital Fish’ in a large-scale concert at SPOR festival 2016 in Aarhus. Now, their collaboration is expanding, and in 2017/18 they have started working on a new comprehensive project. On the initiative of the Darmstadt Summer Course in collaboration with a number of the biggest European festivals for new music, SCENATET and Jessie Marino have been co-commissioned to create a new, big piece to be premiered at the Darmstadt Summer Course on 17 July 2018 – extraordinarily followed by a second performance on 18 July. The piece – a full-length concert piece with 10 performers, live electronic audio and video is created in collaboration between Jessie Marino, video artist Constantin Basica and SCENATET. Nice Guys Win Twice reinterprets political discourse in an artistic-poetic manner, taking the phenomenon of ‘fake news’ as point of departure. Through the 50-minute piece, SCENATET will act as performers, taking the audience into a different “narrative” of reality – where spectacles of the everyday uncanny are explored. They shuffle through micro-managed mundane gestures as a form of choreographed self-care, render the language of political dramas into sputtering piles of abstract glitch, and push around projections of everyday technology – slowly building up a mediated and drowsing cover of the real. After the premiere at the Darmstadt Summer Course, SCENATET will go on an extensive tour, performing the piece at the co-commissioning and cutting-edge festivals Transit Festival (BE), Gong Tomorrow (DK), Huddersfield Contemporary Music Festival (UK), and Borealis (NO).